At the junction of the Mojave Desert, Great Basin Desert, and the Colorado Plateau sits the stunning beauty of Snow Canyon State Park. The sculpted canyons of brilliant sandstone surrounded by ancient lava flows are home to a network of trails, vistas, and cliffs just waiting to be explored. 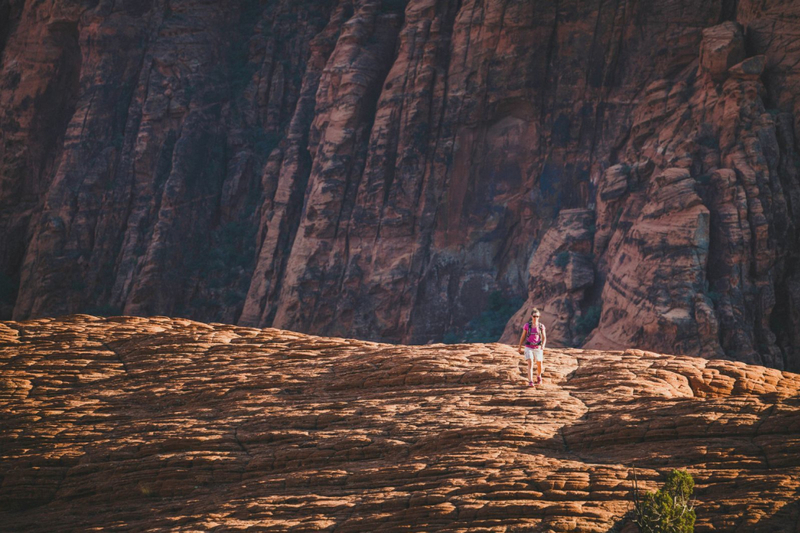 Snow Canyon is filled with sand dunes, hundreds of millions of years old, which have been cemented into colorful stone cliffs over a long period of time. Prehistoric volcanic eruptions then filled in the base of these canyons with flows of dark basalt rock. Yucca, oak, juniper, and sage can be found throughout the park despite the harsh desert environment. The park was established in the 1960’s to protect the habitat of the desert tortoise. Today it is home to Gila monsters, falcons, and many other desert species. The trails located in the park will take you through otherworldly terrain offering ample opportunity to explore. The campground is modern and is suitable for tents and RV’s. The scenery can’t be beat and numerous climbing routes are located throughout the canyon walls. Wandering through the park is like stepping into geologist’s dream world. 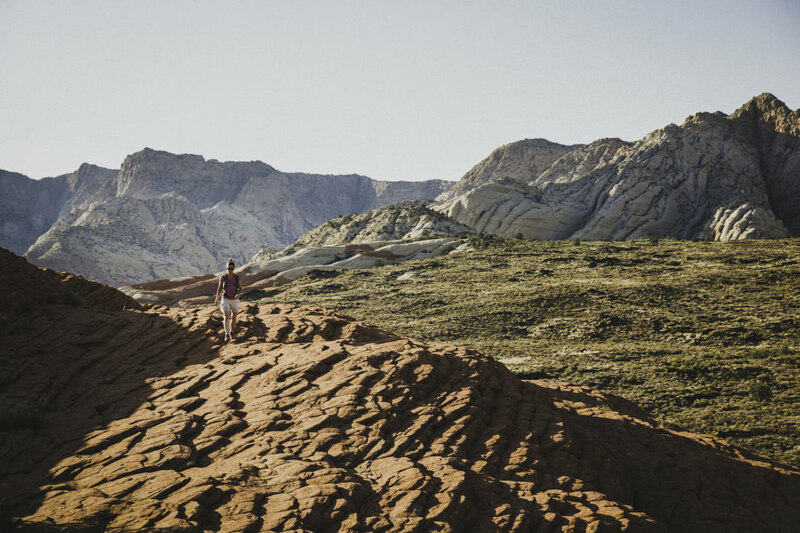 While there are designated paths through the park, stepping off and exploring the layers of earth found among the cemented hills is a common and recommended experience. The Three Ponds trail is a moderate outing that will lead you from the desert’s washes to a deep and narrow canyon. The highlight of this 3.5-mile hike is a series of holes eroded into the sandstone that fill with water after rainstorms. The White Rocks Trail to the Lava Flow Overlook is another great moderate outing. Begin with a short detour north to the White Rock Amphitheater. This is a naturally formed basin set beneath towering white sandstone buttes. Heading south the trail will offer excellent views of West Canyon for most of its length. You will connect with the Lava Flow Overlook spur. From here you will see the cinder cones of two extinct volcanoes and the flows of lava that they produced. Retrace your steps to return to the trailhead. The short hike of the Petrified Dunes is remarkable. This raised mound of sandstone stands above its immediate surroundings offering a unique perspective of the park. 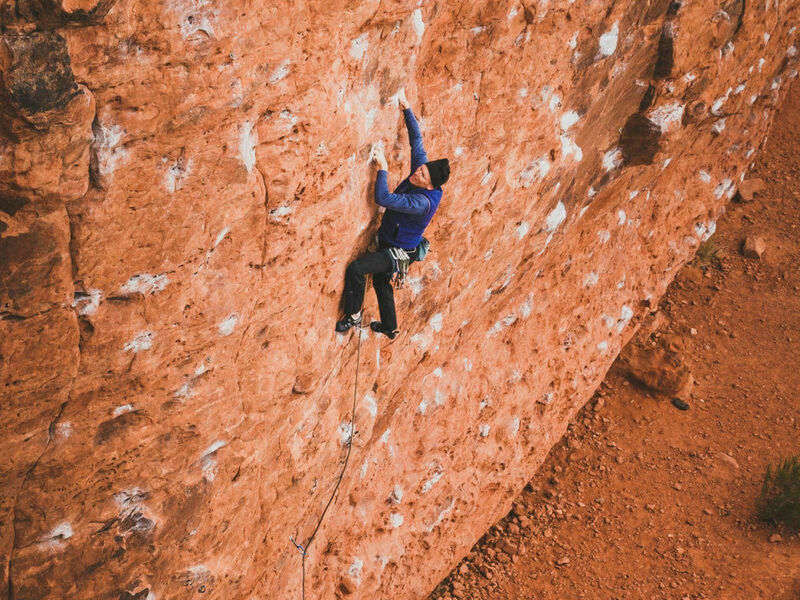 Snow Canyon is also home to technical sandstone climbing. Spread throughout the park and surrounding area are fantastic climbing areas with difficulty that ranges from moderate to advanced levels. Two areas on the south edge of the park are worth checking out. The Chuckawalla Wall has morning shade and afternoon sun and the Turtle Wall has morning sun and afternoon shade. Check with the ranger for more details. Even though it’s not hot anymore, walking around on lava is not something you will quickly forget. Being able to experience this landscape of petrified dunes and frozen lava flow is amazing. Being able to climb here gives you a perspective not seen by many. 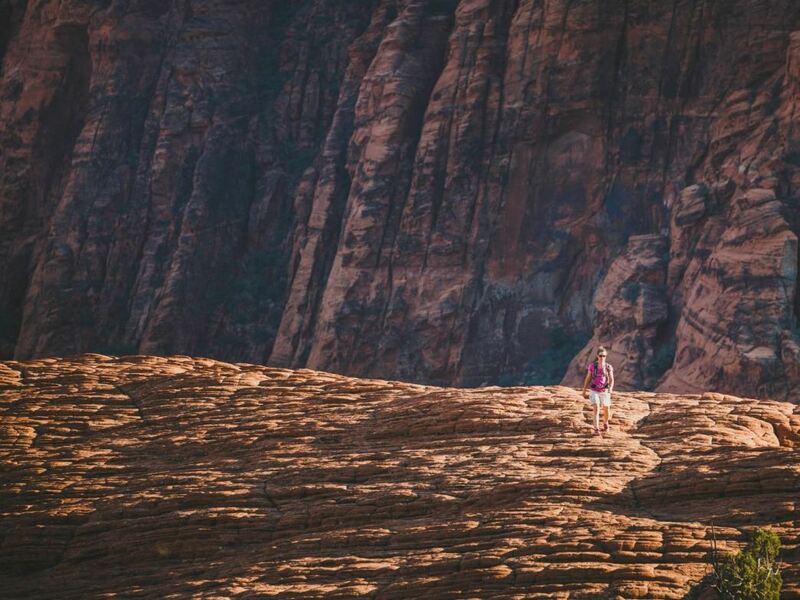 A visit to Snow Canyon is a visual treat. Not only are you rewarded with spectacular scenery you are invited to be apart of it. The park may be enjoyed leisurely from the many overlooks, picnic areas, and campground, or you can grab your hiking and climbing shoes and get to know the place more intimately. 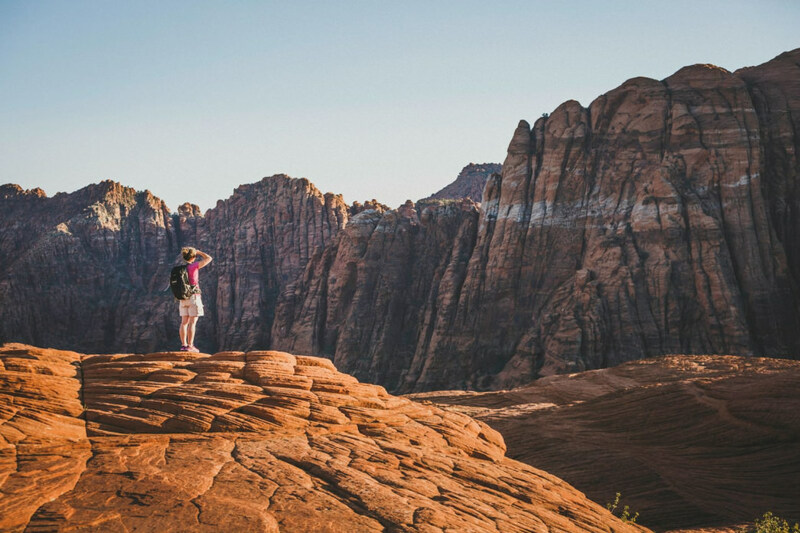 Snow Canyon State Park requires fees. Day use, camping, and group rates are available. From I-15 Northbound: Take exit 6 (Bluff Street). Go north on Bluff Street to the intersection with Snow Canyon Parkway. Turn left onto Snow Canyon Parkway and proceed approximately 3.5 miles and turn right onto Snow Canyon Drive. Follow this road to the south entrance of the park. From I-15 Southbound: Take exit 10 (Washington). Turn right off the ramp then an immediate left at the light. Follow this road for approximately 5 miles to the intersection with Bluff Street/ SR-18. Proceed through the light and continue on Snow Canyon Parkway for approximately 3.5 miles and turn right onto Snow Canyon Drive. Follow this road to the south entrance of the park.